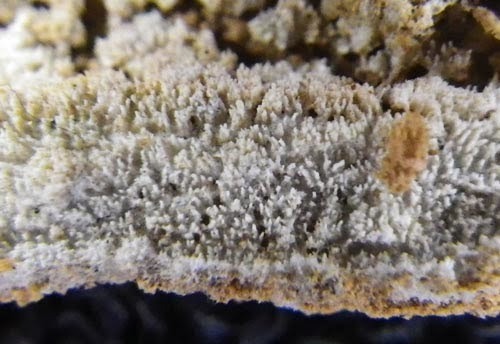 What better way to start the year than to add four new species of fungi to the Hampshire mycota.The first Fomitiporia hippophaëicola was found in early January by Phil Budd on the outskirts of the Hythe Marina. Phil found several fruitbodies, 4-8cm across, on the trunks of Sea Buckthorn (Hippophaë rhamnoides), its preferred host in the UK. 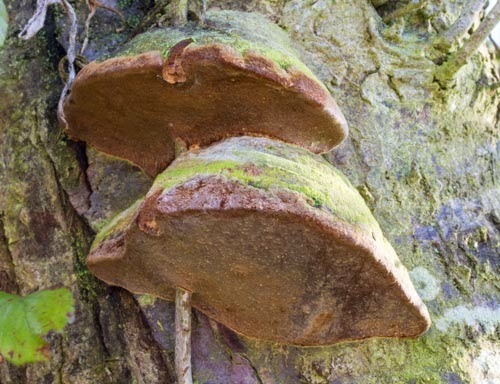 With nearly 90 records in the UK it is perhaps surprising that something as large as this has no been noticed before in Hampshire.